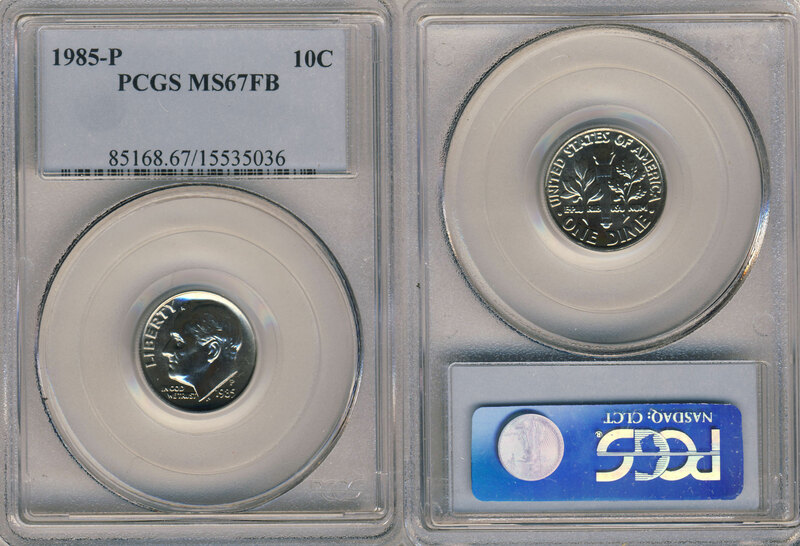 Sometimes we purchase or receive back from grading companies holdered coins without our fully understanding the attribution on the label, as happened to me three years ago when I received an MS67 “FT” designation from NGC on a 1946-S Roosevelt dime. Because I subscribe to Coin World, I keep an inventory of my holdings on the Coin Values Web site, which lacks the NGC attribution and instead uses the more common “FB” or “full bands” to designate split bands on the reverse torch of Roosevelt dimes. I knew that the term “full bands” meant that each of the bands on the reverse of the torch be distinct, indicating a good strike on coins meant for circulation (as proofs are almost always fully struck). “Full torch,” I deduced, must mean the same thing. 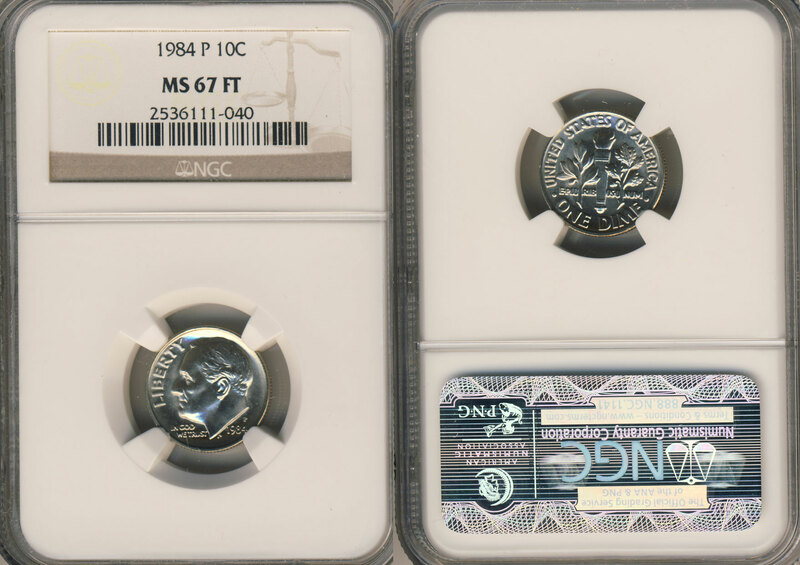 Online discussions of the two terms, such as this informative one on “Coin Talk”–showing clear pictures of the attribution–indicate that NGC’s “full torch” designation is tougher than PCGS’s “FB” one. Both designations from NGC and PCGS were established in 2003. However, NGC may have done a better marketing job of promoting its “FT” attribution over its rival’s “FB” one, suggesting that it alone takes into account the bands above and below the main stem of the torch. But what does all this mean to the collector? 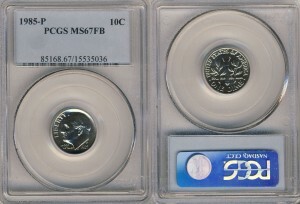 On the one hand, a good numismatist should be able to tell whether a coin is fully struck by understanding grading standards such as you might find in Kenneth Bressett’s The Official American Numismatic Association Grading Standards of United States Coins or Beth Deisher’s Making the Grade guidebooks. Fact is, it is possible (but not likely) to have full bands and an average strike based all the variables associated with die and planchet conditions. So the attribution is helpful in this respect. Mostly, however, many such attributions often come across as a marketing device that awards extra points in registry-set competitions. A good strike is a good strike is a good strike. I like to think that collectors should be able to discern that without relying on attributions such as “FT” vs. “FB,” which may fall into the category of the popular NGC “star” for eye appeal or of fourth-party stickers, such as provided by Certified Acceptance Corporation (CAC). By the way, you can’t choose 1946-S MS67 Star FT CAC; but that multi-level designation suggests that marketing sometimes plays as big a role as numismatics in labels on coin holders. I would choose the very first option. applies to a coin with considerably higher quality and in return considerably higher value. I also think that a star graded coin would be FT.
Good points. I would think a star (and possible now a plus!) would have to be FT. I would choose the MS 67 FT, option 2, but you do bring up a great point. Thanks for your contribution, Ken, and for reading the article! I would choose No.2 only because I prefer NGC slabs. No.1 & No.5 are good choices also as you can always send them to CAC yourself intead of paying the premium, unless your rich and foolish. 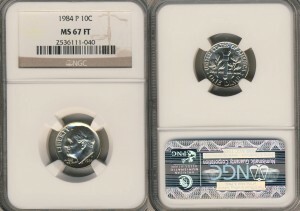 The NGC star most likey is not an FT, but more than likey indicates eye appealing toning or prooflike characteristics. Nice response, Darleen: And good information, too! Thanks for posting. Not only do I agree with the FB or FT I think the lincoln cents with FS should be slabed also.. Thank you, William. interesting idea! !